Most countries have some sort of system in place to keep track of their citizens and to check whether they are paying income taxes. 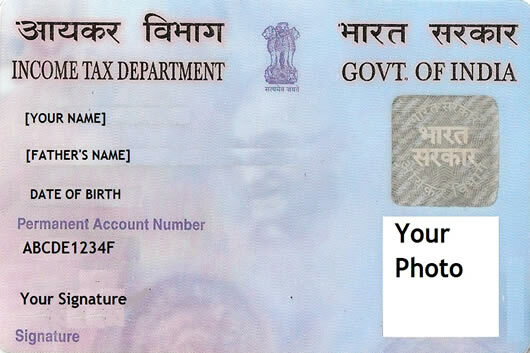 In India, the system incorporates having a PAN number. PAN stands for Permanent Account Number, and is an identifying number of Indian income tax payers. Ever tax payer in India must have a PAN number. The number is a unique 10-character alpha-numeric identifying number that is issued by the Indian Income Tax Department under the supervision of the Central Board for Direct Taxes (CBDT). The number is also be used as an important proof of identification across India. A PAN number is required for any financial transaction in India, including opening a bank account, receiving taxable salary or professional fees, sale or purchase of assets above specified limits, etc. The Government of India uses PAN as a universal identification number for a taxpayer, which allows all financial transactions to be identified with their respective taxpayer. This helps prevent tax evasion as the government can keep track what person did financial transactions and of how much value.